Repeat Returns unveils new Point Of Marketing® API, combining data analytics, loyalty, email, mobile, surveys, online ordering and marketing automation into a single one-time POS integration that allows unlimited extendibility. 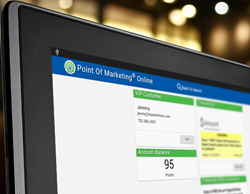 The Point Of Marketing® API offers complete marketing automation from any iPad, mobile, PC or cloud-based POS system. Repeat Returns, a leading provider of marketing automation in the restaurant and pizzeria space announced today the official launch of its new Point Of Marketing® API. “With the explosion of mobile, social, email, data analytics and cloud services, more and more merchants are demanding custom 3rd party marketing integrations from their Point Of Sale providers,” says Kamron Karington, Repeat Returns CEO. Even though most POS companies strive to meet these needs and enhance their system’s functionality, ongoing development challenges such as the new chip (EMV) support, moving to mobile, and cloud-based solutions take priority. Additionally, most 3rd party add-ons contribute to an ever growing spider web of APIs and integrations, consuming valuable development time and setting the stage for future failure points as APIs are modified, extended and even abandoned. Since the evolution of the POS into a marketing tool is well underway, Karington felt the time was right to solve this “endless API development” burden with an industry standard Point Of Marketing® API which allows a single integration point for any API. “That way, merchants can choose the marketing solution that’s right for them, even if it’s not us” Karington added. The Point Of Marketing® API’s detailed documentation can be found at http://www.pointofmarketing.net and includes an SDK page for those looking to take advantage of this new solution. “It’s all about letting POS companies stay focused on what they do best: creating an amazing POS,” says Miller. Repeat Returns provides data-driven, automated marketing to retail, restaurant and pizzeria owners worldwide. For more information on Repeat Returns and their all-in-one marketing solution visit: http://www.repeatreturns.com.